Wang Thonglang, Bangkok 10310 Thailand. 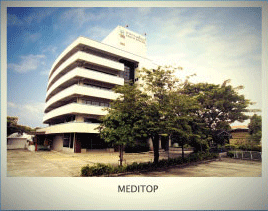 Meditop Co., Ltd. is a leading company in medical instruments, diagnostic devices in laboratories, and scientific equipments. Our products are distributed throughout the country. We would like to recruit new members who have high quality of knowledge and skills to join us for business expansion.